If you use Facebook feel free to join my group on there for more CB related chat and tips. I have a few hand made Hy-Gain 5 roger Bleeps for sale. These sound just like the real thing and are easy to fit. Cost is £12.99 and that includes postage to the UK. Full instructions on how to fit them will be sent with the bleep and full after sales service is provided. Drop me an email if you want to order one. I see the lovely people at Nevada Radio were again selling the Alinco DR-135UK 10m radio for the bargain price of £99 the other day. I bought one last year from them for the same price as part of the Black Friday event and its been fitted in my car ever since. Apart from the cheap microphone that needs a squirt of switch cleaner every now and again its been a great radio for the money. One of the great things about these radios is they are pc programmable. I have mine set up with the UK FM on band A and bands B through to F are the Super Low to Super High 26.065 to 28.305. As you can have up to 60 channels per band i have some of the 10m band and repeater channels from 40 to 60 on F band. Along with that i have set the roger bleep tone and length to mimic the Ham International type bleep. I got this email newsletter from the lovely people at Radiozing and thought it worth sharing as it answers a lot of questions people have with linears and power etc. If you are buying any kit they are always worth checking out at http://radiozing-uk.com/ as they have some great prices and know the stuff they sell. Radio or Amplifier not reading enough power on your PEP power meter ? You need to understand how to measure Peak Power ! There are power meters sold that have switches labeled PEP or Peak, but MOST do not provide accurate PEP or Peak readings. A true peak reading circuit can read the peak value and hold that value long enough to drive the meter even when the input signal is dropping. Most meters use a capacitor as a simple “hold” on the charge, but the peaks still only charge the capacitor to an average value – a value higher than when switched in RMS /Average mode but this is not a true peak either. Also, the best readings are done on a dummy load as your antenna’s reactance can cause different readings than a good properly matched dummy load. All of the meters sold by Dosy, Diamond, Avair, Astatic and many others that say Peak or PEP on them will only read an enhanced “average” power. Generally, they display about 60-75% of actual true peak power. If you are set up for low dead key and high peak power these meters will be even further off and read only a fraction of your true peaks, more like 30-40% of true peak power. Even with this said, these meters are still of decent quality, relatively inexpensive and for most people a good choice for personal use. A Bird 43P meter (with a real peak reading circuit installed) can hold the value and drive the meter to show true peak readings as verified on an oscilloscope. The peak RF voltage is input to an op amp circuit that will hold that charge for as long as it needs to. The Bird meter is very expensive and not practical for most users. These meters are usually used by technicians and by users who operate at increased power levels (above 2KW) that can only be accurately measured by these type of meters. The oscilloscope is the most accurate PEP measuring tool, as it will display the crest (peaks) of the modulation envelope independently of the rise-time or audio-frequency response. An o-scope is also very expensive and not practical for most users. These are usually used by technicians. The problem is they are large, complicated, have many controls and tend to scare off the average user. Do you have to own a Bird 43P meter or an O-scope? NO, a regular meter is perfectly fine for a consumer to monitor his equipment. You do have to realize the limitations to average commercially available meters and know that your true peak power is more than you are seeing. A version 6 CRT6900N / AT5555 can be tuned for a peak power output of 40 watts SSB on the Bird 43P. The same radio as measured on a Dosy / Diamond meter would show 26-28 W. You must understand that the 28W you see is actually only 70% of the true value. Lets say you are trying to set up your linear amplifier for good drive and clean audio. To do this, as you know on AM and SSB that you want a 4:1 ratio power. So you want your peak power to be 4 times your dead key. First you read your peak output using a Dosy meter and you might read 150W. So by knowing the limitations of the meter you decide that your true peak power is really about 200W and set your dead key to about 50W. Say your technician sets up your radio and amp and tells you it is dead keying 100 watts and peaking 400 watts (perfect and within the legal limit for full class UK license holders). When you get home and check out your meter you see 96W with voice peaks to 280W. Did he do it right ? Did you set everything up right ? Is something wrong with the amplifier? What should you do? NOTHING, because now you know the limitations with meters and how to read true peak power. So you smile and say yep, that’s just about right. The other thing to keep in mind is RM and Zetagi (and others!) don’t make clear their claims of power output and these amps don’t achieve much more than 60% to 70%% efficiency. So a 100 watt amplifier, expect to see 60 to 70 watts out on FM/CW. Also keep in mind that amplifiers are very voltage reliant – so long power cables you will get voltage drop and lower output power from your amp. Always use shortest power cables – and if running with a power supply, increase the voltage to compensate. Yes, – that’s correct and it is not faulty. Pre-amps are only effective when you have a low SSB signal with low noise floor level – if you use it on FM it will seem to just increase the S-meter reading and not improve the actual signal to noise ratio level – in other words Preamps on FM don’t help and are only effective on low SSB signals. Each increase of one “S point” (e.g. from a S5 to a S6) on the receive meter is equal to 6 DB difference. When the manufacture calibrates todays HF rigs to the international standard, therefore, to go from a reading of S6 to S7 you will need to increase your output power by 6 DB. Using this scale, it means that every time you double your output power you are increasing your signal by only 3 DB. If you again double your output power you will get another 3 DB increase in signal strength. Together both these increases total 6 DB from your original power level. Well in most cases – yes – as the amplifiers have a change over relay that in power off mode routes the input power bypassing the components, but in some amplifers – especially the lower cost versions when powered off the relays aren’t switched so it is always better practice to remove the amp if not in use. But how much power are these relays designed to take ? 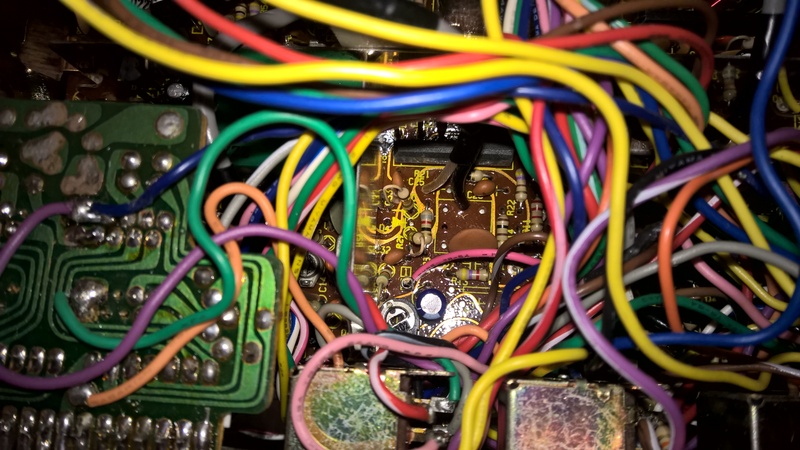 Too much power input destroys transistors and can be very costly to replace ! Both older and todays 10 metre multimodes and older and todays HF radios are known to “spike” power – ie overshoot the power that you have set. Ie, you set the radio at 20 watts and the amplifier blows. Search on google for TS590 power spike. Aswell as damaging or destroying transistors, higher input power draws more current and puts other components under extra stress. 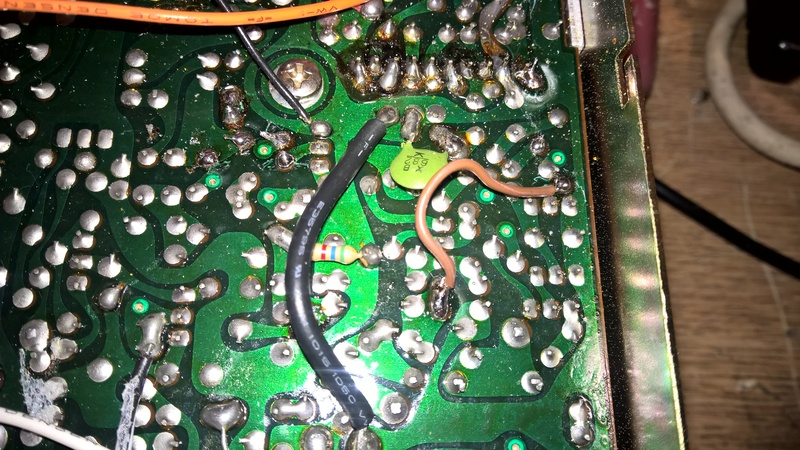 We have seen the fuse holders melt because of this. In an ideal world, buy an amplifier that can produce more output power than you require. Don’t run it with maximum input, and don’t run it on the highest level setting. What would happen to the Ferrari engine if you constantly drove it at maximum speed ? The things people get me doing…. A mate of mine has been nagging me for weeks to make him a roger bleep. Not just any bleep but the uber annoying peewit that is found in the Hy-Gain V radios. He could of bought one from ebay but I have fitted them in the past and they never really sounded right even after messing with the components. This one got the thumbs up from the critics on channel 14 in Leicester. So a new domain name as I stupidly let the last one lapse. The new owner of my old one seems to be selling snide handbags. 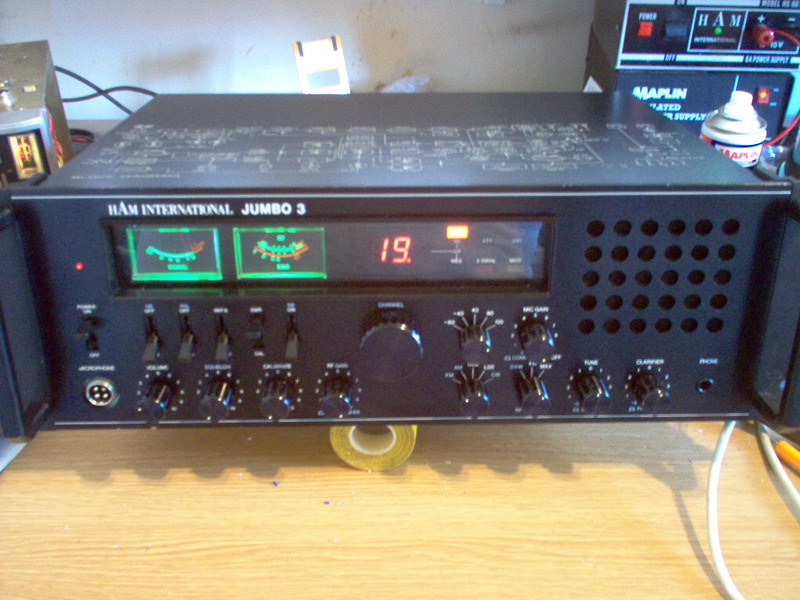 Anyway this is the place for some technical stuff, some fun stuff and maybe some moaning..
Ham International Jumbo / Multimode 2 Modifications. The ever popular Ham International jumbo and its mobile counterparts the Multimode 2,Concorde 1 and Major 588 and not a bad radio for their age but they do have some niggling faults. One of these is the awful FM modulation. Most modern radios apply the fm tx audio to the vco using a varicap diode. In these earlier radios cybernet modulated the crystals to get the deviation. This results in poor and quiet audio which when turned up makes the radio wander about on transmit frequency. The squelch is also renowned for popping as it opens and closes. My good friend Paul Michelin Man in Leicester worked out a mod which cures this and details are at the bottom of the page. The other is a lack of the correct bias voltage on the output transistor. This can be fixed by changing R38 to a 15 ohm resistor. You will then need to measure the bias voltage on the base of Q10.Key the radio up on SSB with no modulation to measure this. It needs to be 0.7 volts and can be adjusted with RV1. The way i do them is.. Remove L3 and C30. Link out R26 Connect a 10000pf (103) cap to Pin 2 of IC2. To the other end of the cap connect a 10k resistor and the cathode (with the line on) of an ITT310 or 410 Varicap diode. The other end of the varicap and resistor goes to ground. Replace C32 with a 100000pf (104) capacitor. You will just have to adjust the deviation using RV3 and check that the vco locks on all the bands. I have tried using other varicaps but these ones sound the best. There is always a lot of discussion about which is best cybernet or uniden ssb radios. Personally I like cybernet stuff but I admit uniden ssb export radios do work well on ssb. A lot of the issues people have with cybernet stuff is a result of the way that they left the factory. 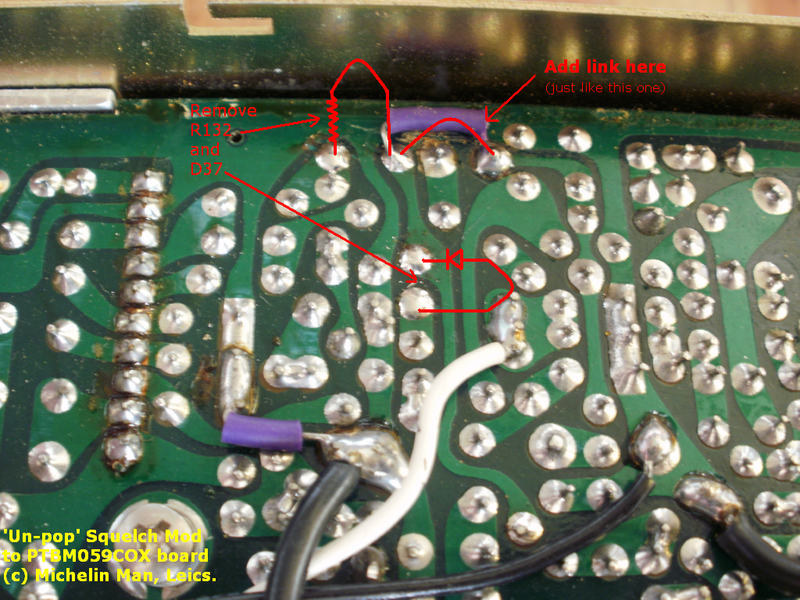 Common complaints are scratchy ssb audio and awful fm transmit audio. Below are a few things you can do to the 121 chassis. This is used in radios like the Hy-gain 2795,Tristar 747, Concorde 2 and lots of others including some Colt Excaliburs and the rare Major 688. Also change R166 to a 5.6k ohm. Also add a 1000pf (102) Capacitor One side to the junction of R28 and C32 and the other to ground. 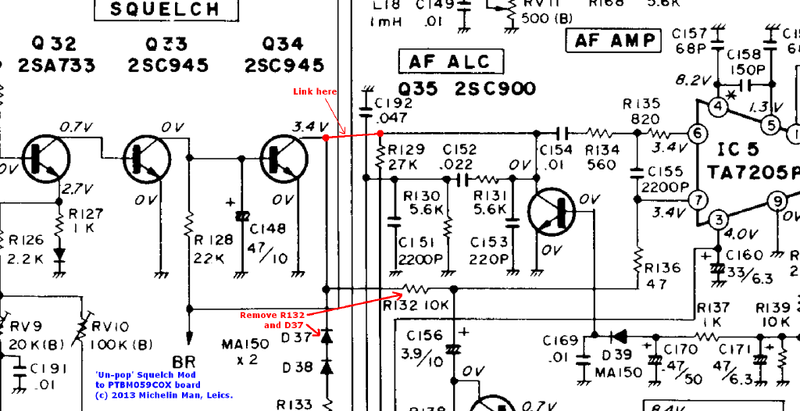 Change R40 to a 33 ohm to improve the bias on the driver transistor. Change R44 to a 15 ohm and set the bias to the output transistor using RV2 by keying up the radio up on ssb with no audio and set the voltage on the base of Q10 to 0.7 volts. I now have a laptop that I can actually type on now instead of the ipad mini. I am over Apple products now. I am a windows lad through and through. I have a bit more time on my hands these days as I don’t do a daily radio show at the minute. Its given me a bit more time to play with cb radios which I enjoy doing. I must be one of a dying breed of rig doctors now as I get radios posted to me from all over the place. I do wonder though how long people will use cb radios in the uk as there certainly isn’t any new younger people taking it up.